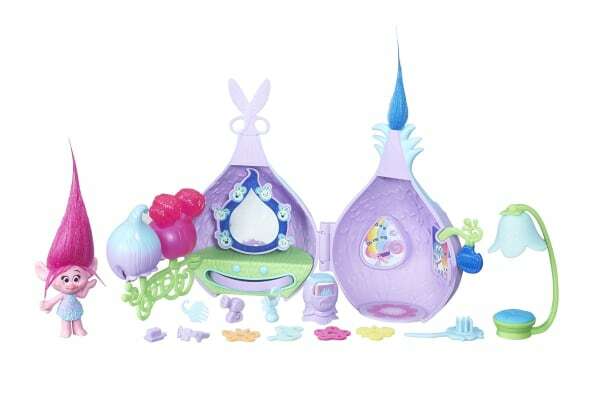 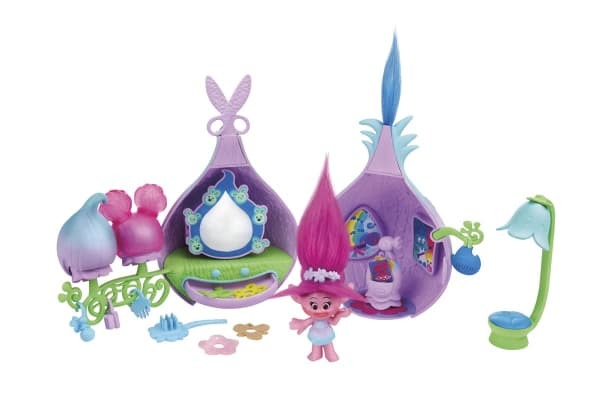 Enjoy hours of styling fun with the Trolls Town Poppy’s Styling Pod! 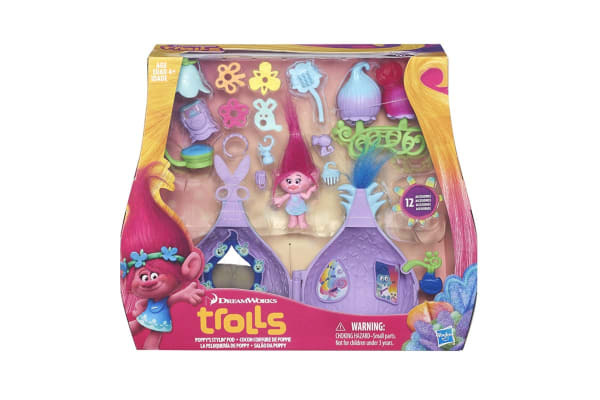 As the heroic leader of the DreamWorks Troll movie, Poppy is the cutest little troll you’ll ever meet. 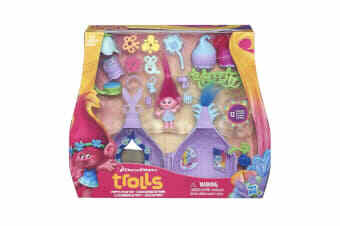 Style and pamper her like a princess with this fun set which includes Fuzzy Flair material, wigs and styling tools.